We are approaching the end of this project. 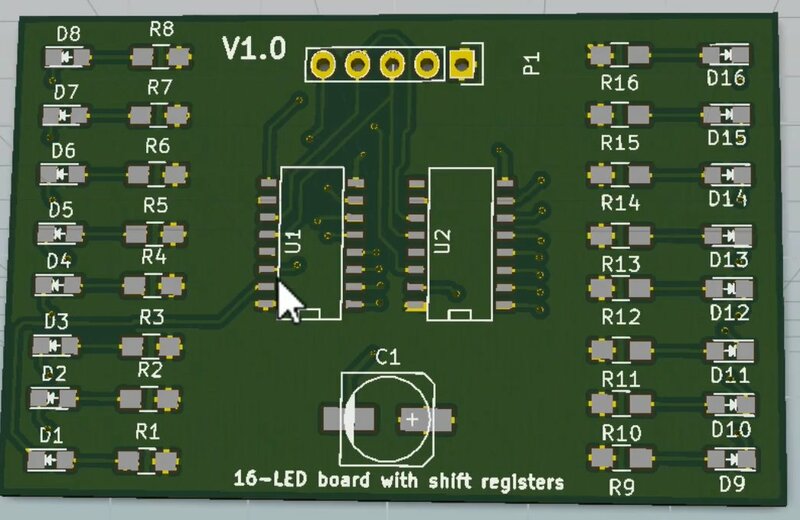 One of the last few things to do is adding text labels with information about the PCB, and if you choose, a nice decorative graphic. 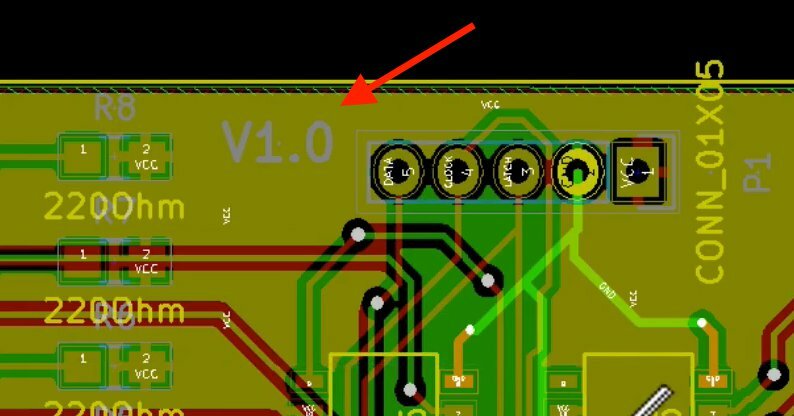 Click inside a clear part of the PCB and type the content of the label in the text box. 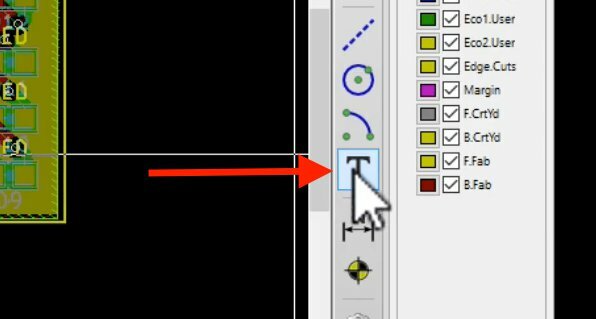 Fine tune the position of the label with your mouse, and click to set it. Move this label up to make room. 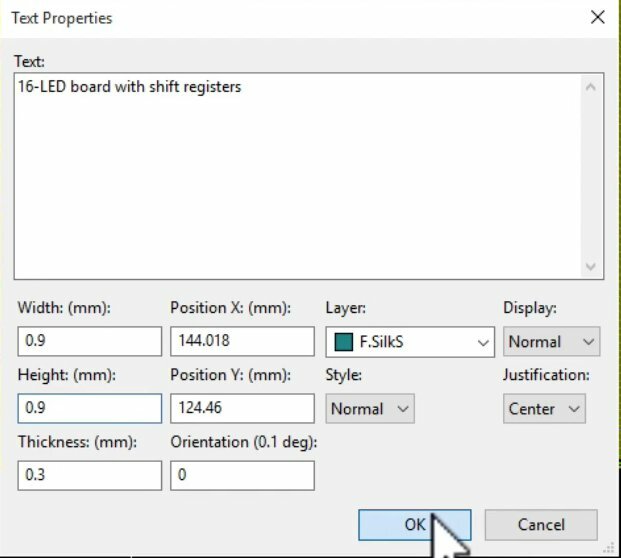 Add a label with the name of the board. Added a label with the name of the board. It’s all aesthetics really at this point. I think that what we have now is sufficient as far as text labels are concerned. It’s really a personal thing so decide what messages or text or numbers you’d like to put in. A 3D preview of the board. Save the project. Let’s work on the decorative graphic next. 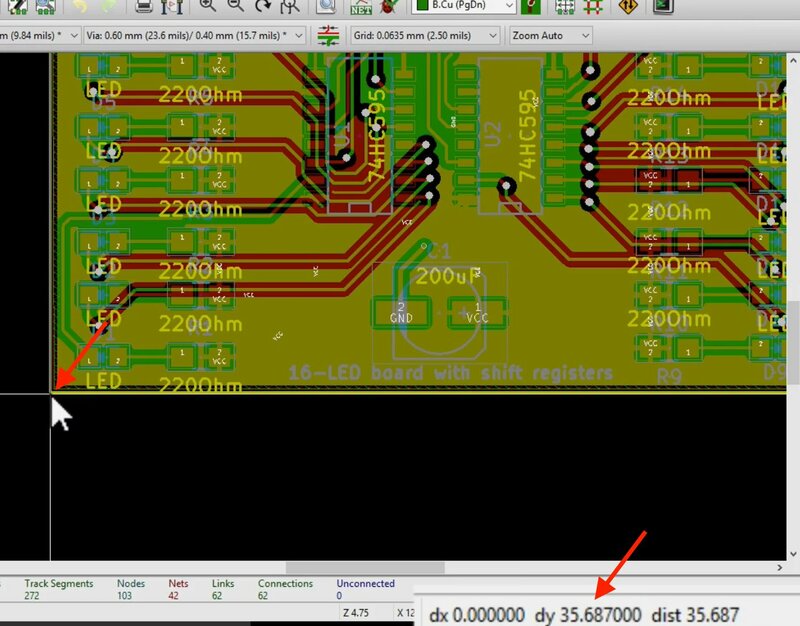 We will need the dimensions of the board to use with the Bitmap to Component Converter, so let’s use the Pcbnew measuring tool. Measuring the horizontal size of the board. Measuring the vertical size of the board. I will use the same logo as in the previous project, but you feel free to choose something else. 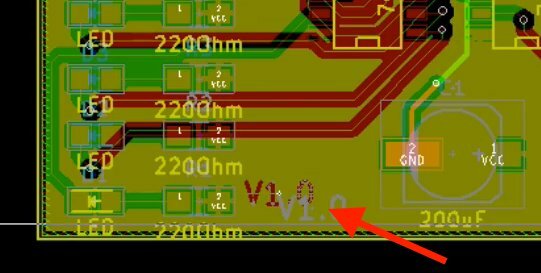 We need to find out the dimensions of the PCB. My measurement for the horizontal size is 55.75 mm, and for the vertical 35.5 mm. I will write down 55 mm x 35 mm, rounded down to the next decimal. We don’t need to be too accurate about this because all we are trying to do is create a footprint that will be within the boundaries of the PCB. Therefore rounding the exact size down is fine. 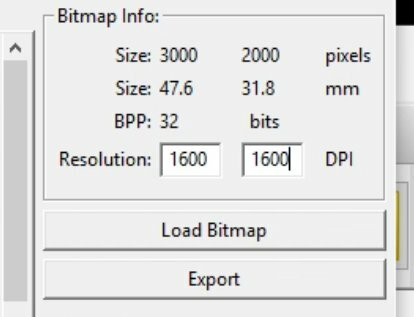 Close Pcbnew and start the Bitmap2Component app. 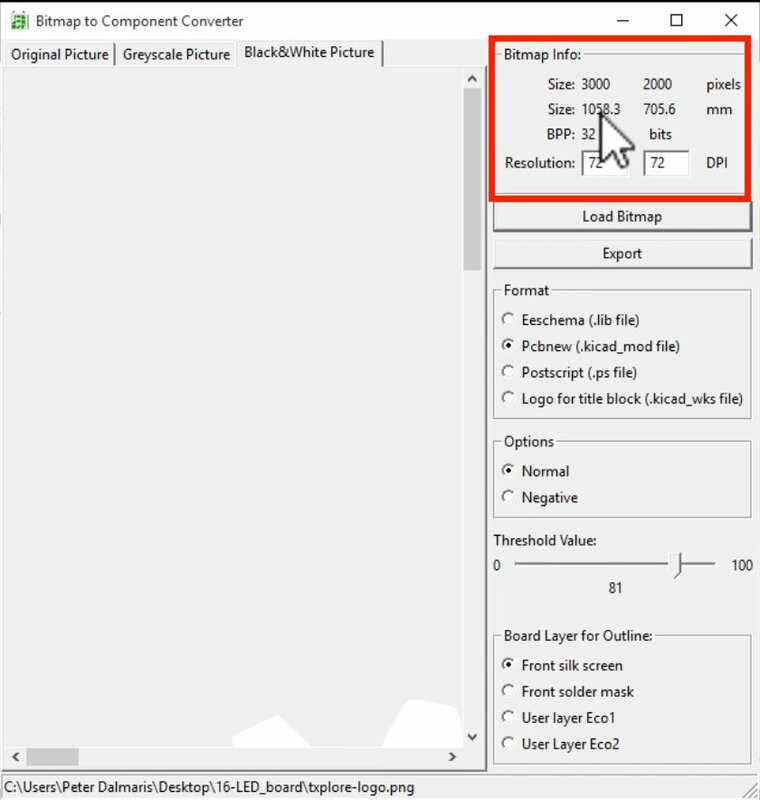 Load your graphic PNG file. Bitmap to Component Converted with the graphic loaded. 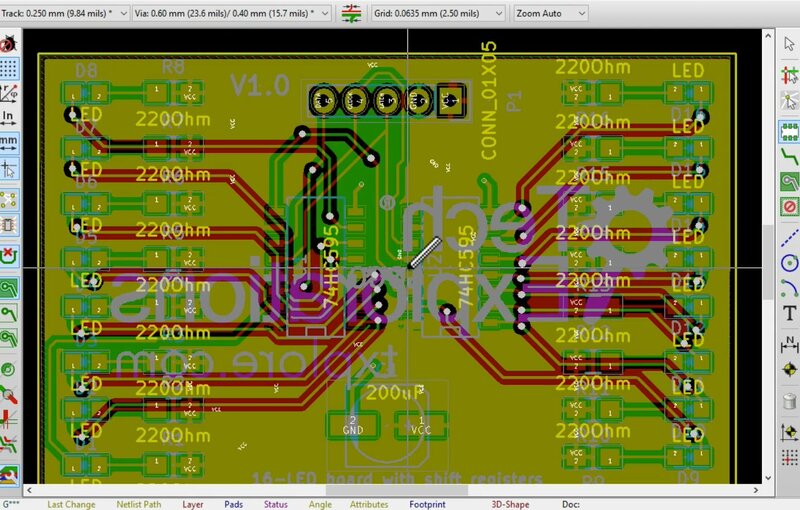 You can see that the image size as it is around 1000 mm by 700 mm, too big for the PCB. 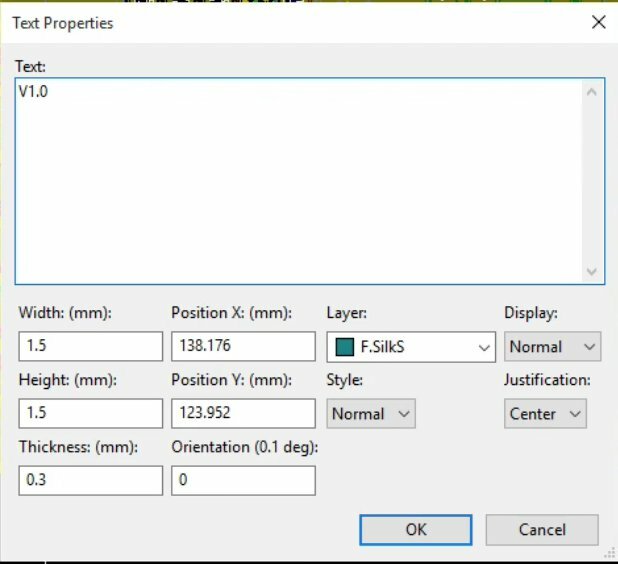 Use the DPI setting to reduce the size to somewhere smaller, around 55 mm width. 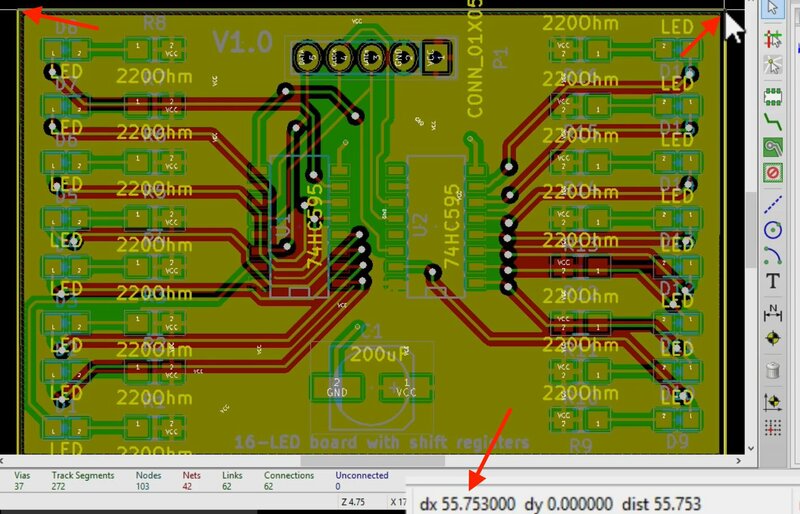 At 1600 DPI, the graphic’s size will be able to fit inside the PCB. 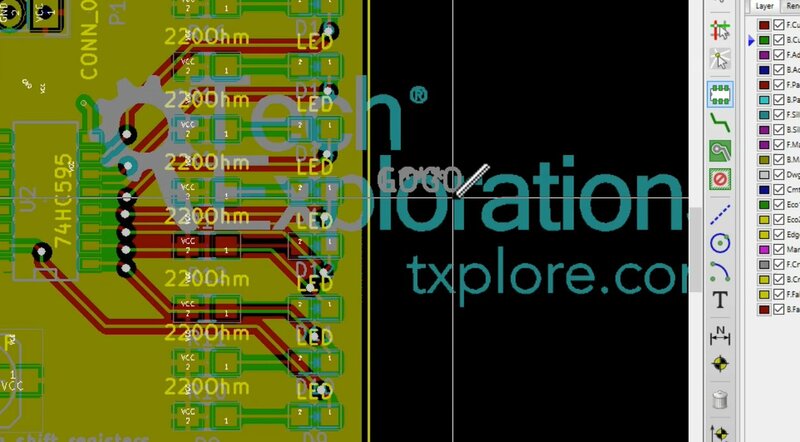 At 1600 DIP, the graphic will be resized to 47.6 mm X 31.8 mm, which will allow it to fit easily inside the PCB. So we can accept this value and export the footprint. 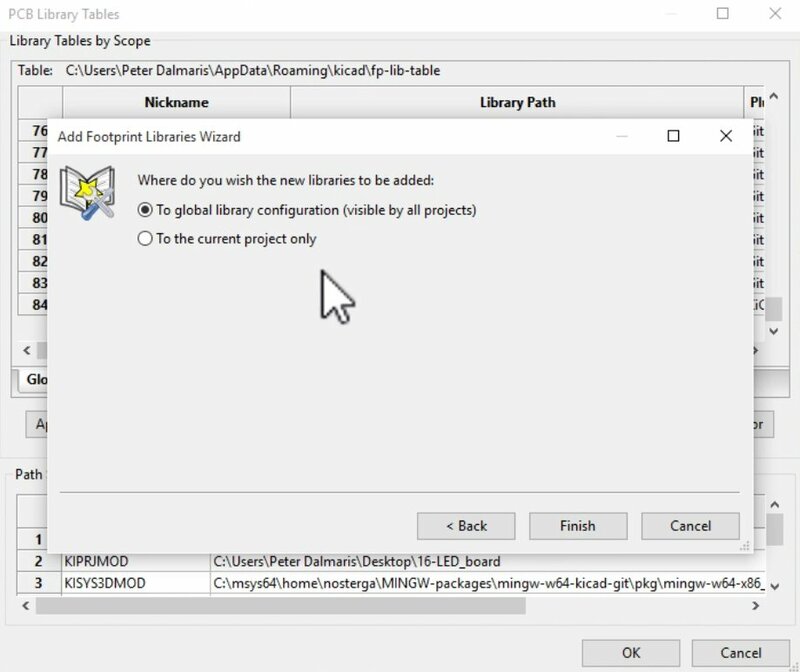 Create a new folder in the project directory to hold the new footprint. Call it “Graphic.pretty”. “Pretty” is the required extension here. 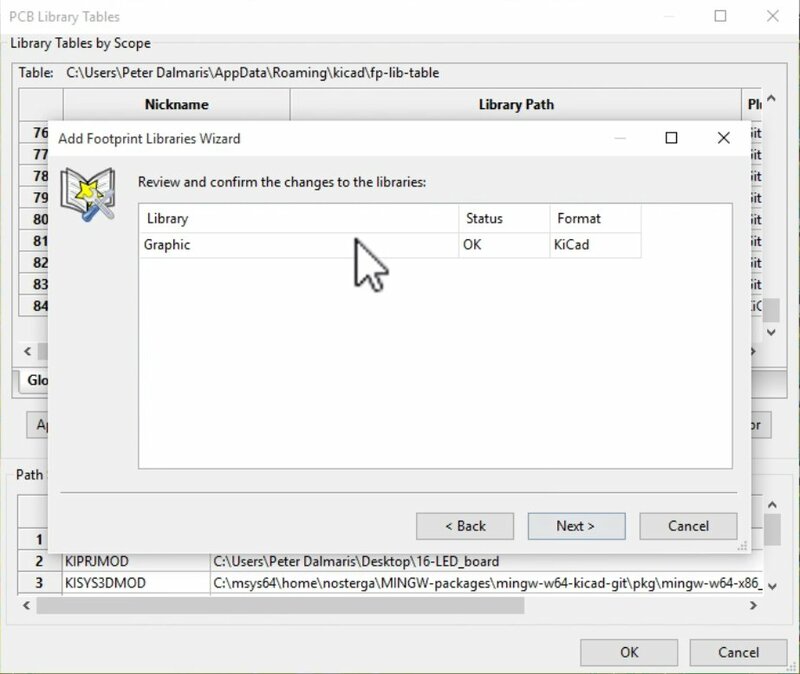 Go inside the library directory and call this footprint as “logoforTB” text boration’s logo. Store the new footprint in a new directory called Graphic.pretty, with file name “logo_te”. 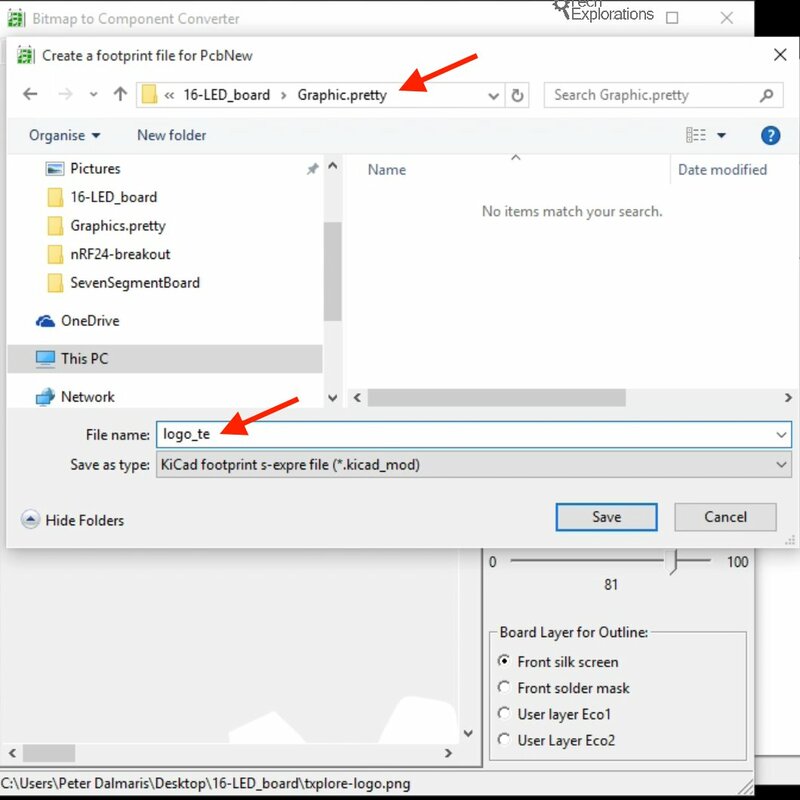 The Graphic.pretty directory is stored inside the project directory. 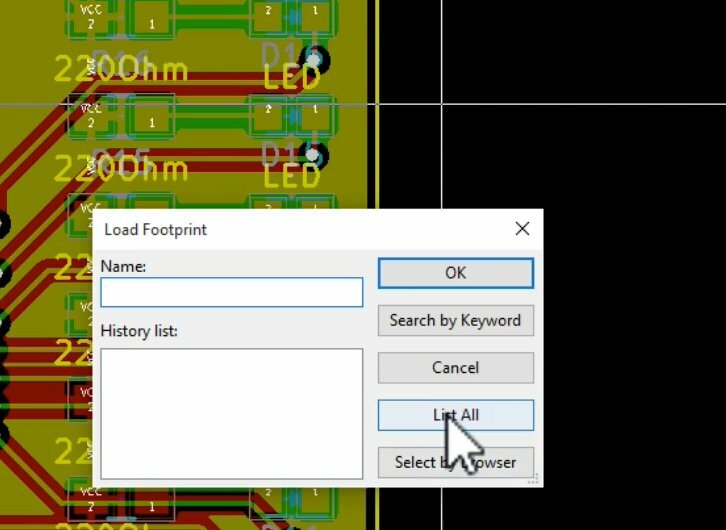 Click on Save to finish with the footprint generation, and restart Pcbnew. 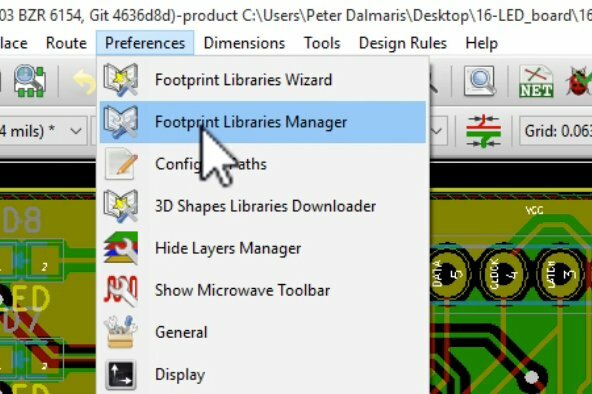 In Pcbnew we will import the new footprint so we can add it to the board.Go to the footprint library manager and add a new library with the wizard. Look for files on your computer. Look for the library on your filesystem. 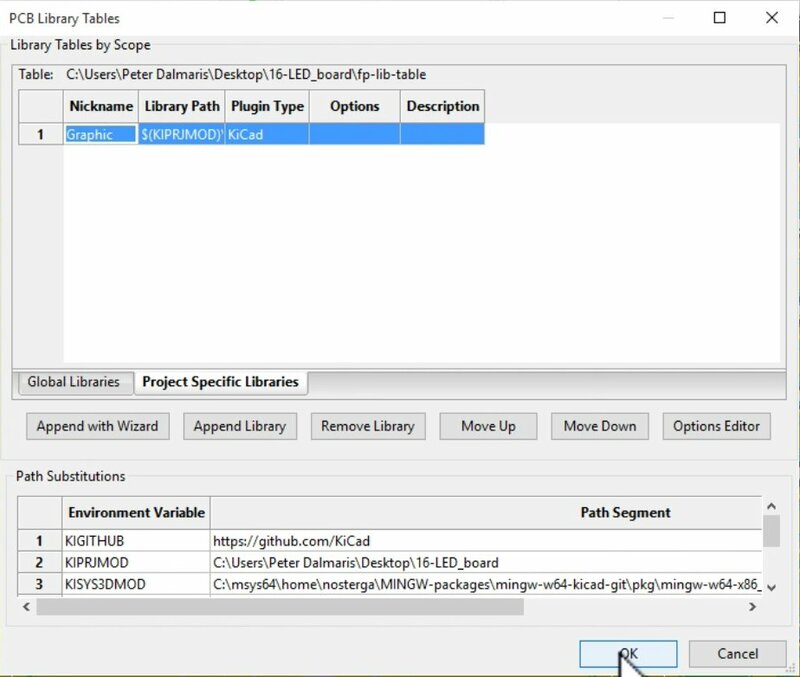 Kicad will detect the footprint library inside the .pretty directory. 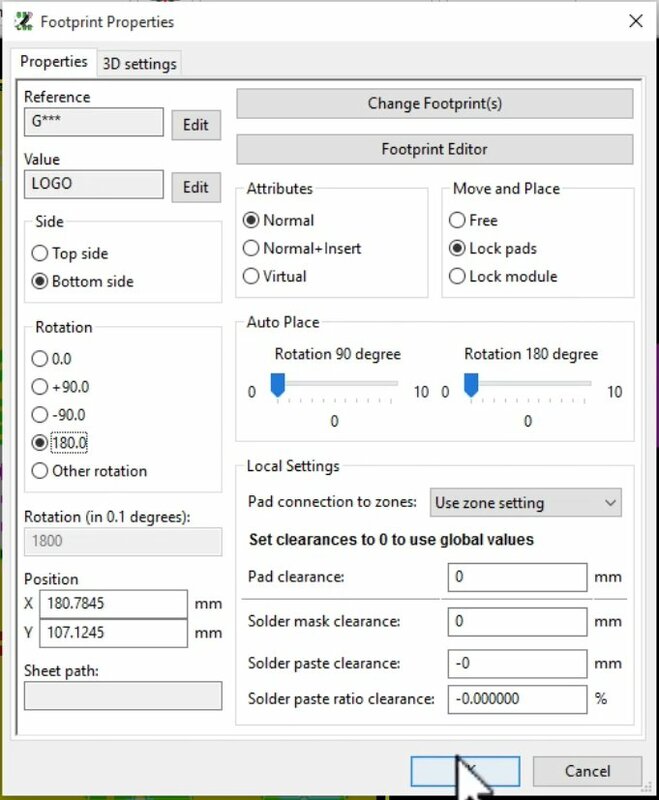 Choose the accessibility level for the new footprint. I selected to use it for the current project only. Click “Finish” to complete the import process. 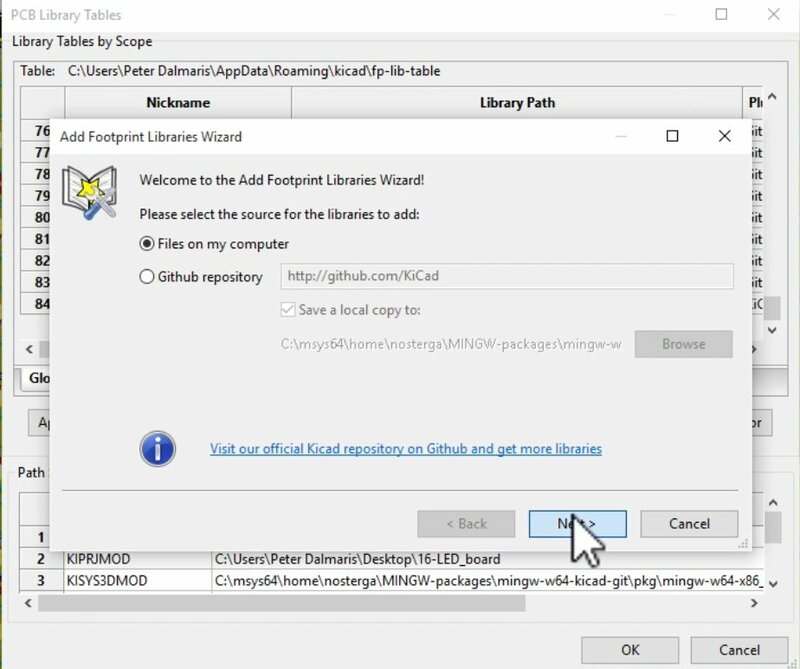 The new footprint will now be available to use in the current project. 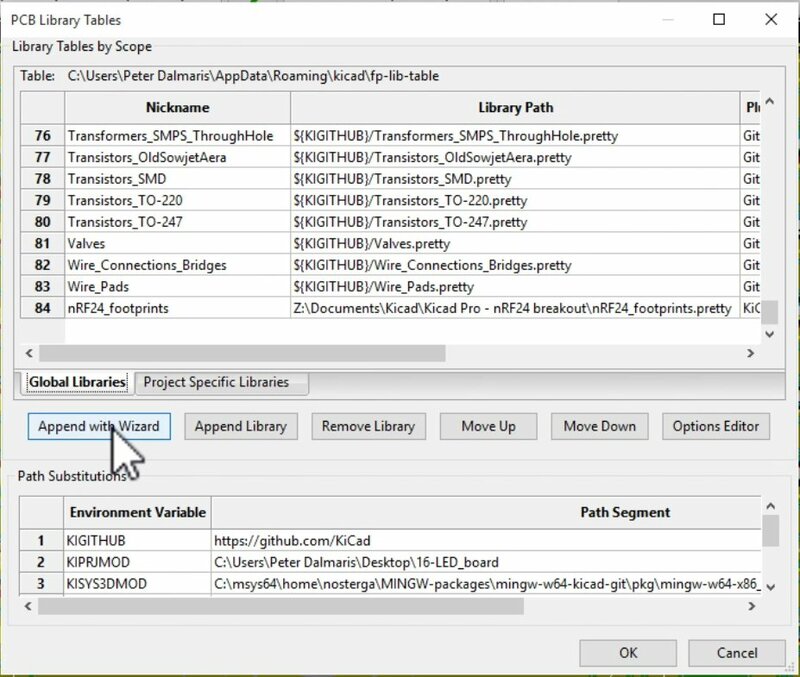 The new library is now imported, and is available for the current project. 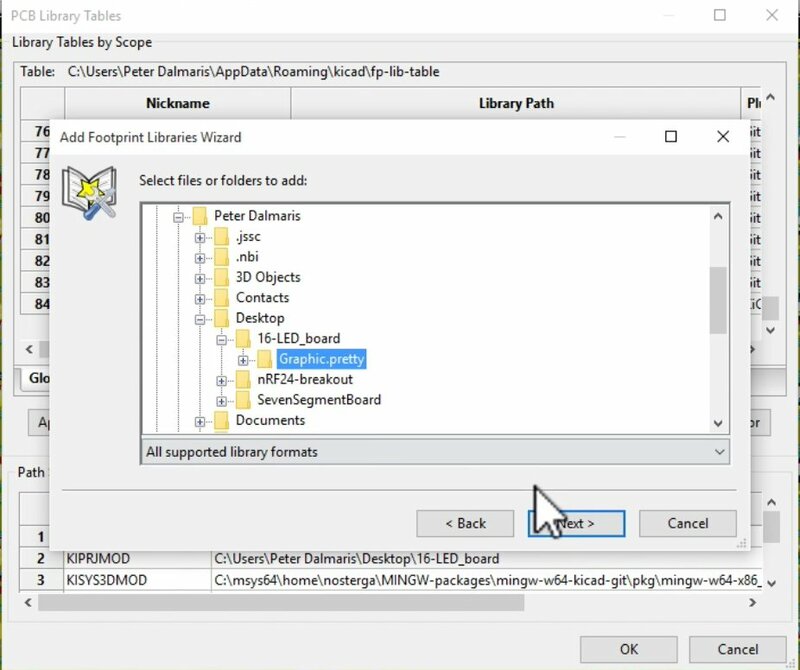 The Footprint chooser will appear. Click on List All. Type part of the name of the footprint in the filter, and double click on the footprint to add it to the canvas. The footprint is on the canvas, but it is placed in the front silkscreen layer. 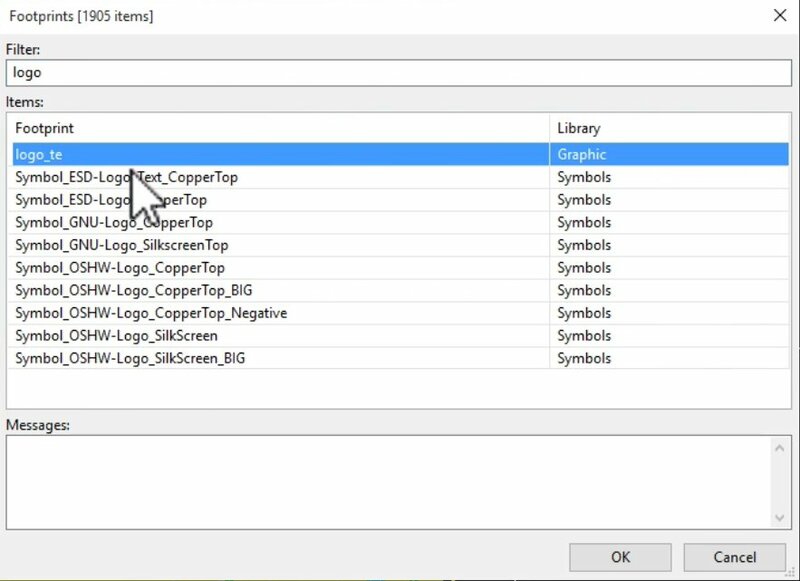 Put the mouse over the footprint and type “E” to edit its properties. Select the Bottom Side radio button, and the 180.0 radio button for the Rotation. Click OK. The decorative graphic is now in place. 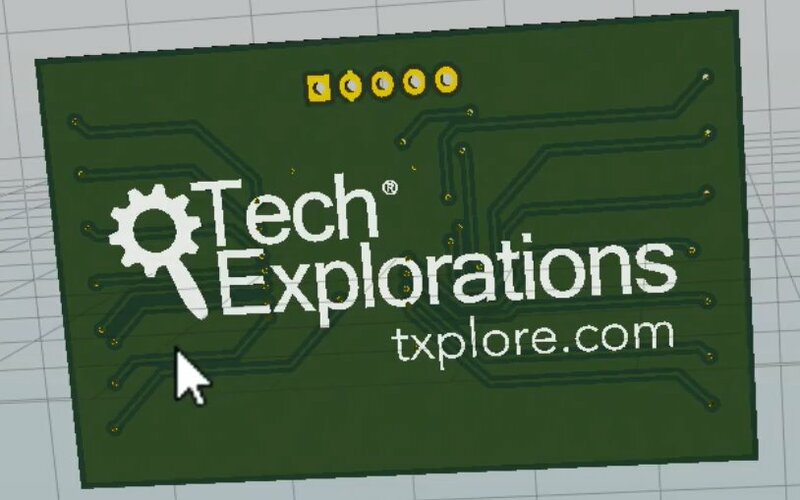 The decorative graphic, in the back of the PCB. Save the project. In the next project we will complete the project by exporting the Gerber files and uploading to the manufacturer.